Two authors with strong Albany ties—GREGORY MAGUIRE and BARBARA SMITH—will be honored at the second annual Literary Legends event on Saturday, Nov. 14, hosted by the Albany Public Library Foundation at the library’s Delaware Branch. The Literary Legends event recognizes outstanding local authors, illustrators, and publishers for their extraordinary contributions to the art of letters. The event raises funds for the Foundation, which in turn support special projects and programs at Albany Public Library. Last year, the inaugural event raised close to $30,000. The Nov. 14 Literary Legends event will start at 7 pm at APL’s Delaware Branch, which is located at 331 Delaware Ave. Tickets are $75 per person, and $125 per person for those wanting to be listed as a member of the Honorary Committee. Tickets can be purchased online through the Foundation’s website. To receive an invitation by mail, please call (518) 427-4367 and leave a detailed message. The Literary Legends gala includes live music; food catered by Café Capriccio, New World Bistro, Saati’s, and Yono’s; wine, beer, and soda; a silent auction; and the awards ceremony. Maguire and Smith join last year’s honorees—William Kennedy, Paul Grondahl, and Amy Biancolli—as Albany Literary Legends. Maguire is an Albany native who received international acclaim for his “Wicked” series of novels, the first of which tells the story of L. Frank Baum’s Wicked Witch of the West and was turned into a wildly successful Broadway musical. Maguire said he “couldn’t be happier” to be honored by his hometown community and is thrilled to see progressions in literature. “Albany gave me a safe and stimulating childhood. The Catholic schools and the Pine Hills library were stricture and liberation in equal measure,” Maguire said. Maguire has written dozens of books and short stories, including “The Hamlet Chronicles” series for children. He is a graduate of the University at Albany, and holds a master’s degree from Simmons College and a doctorate in English and American Literature from Tufts University. 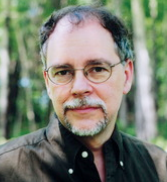 In addition to his writing, Maguire has taught at the college level and has been an active champion of the importance of literature in the lives of children. Smith is a nationally recognized African-American feminist author who has rooted herself in Albany for decades. She has written extensively on issues of gender, race, sexuality, and social justice in “Ain’t Gonna Let Nobody Turn Me Around” and “Yours in Struggle,” among others. 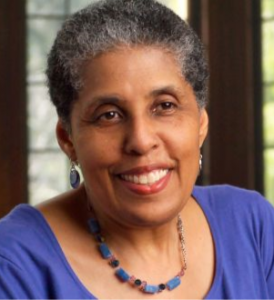 Smith has a bachelor’s degree from Mount Holyoke College, as well as a master’s degree in English from the University of Pittsburgh and completed all but her doctoral dissertation in English at the University of Connecticut. In addition to her written work, Smith has taught at several institutes of higher education and been active in Albany politics. “The Foundation’s generous support enables Albany Public Library to provide innovative cultural and education programs that give our libraries extra appeal, dimension, and character. The additional support helps us live up to our mission of educating, entertaining, and empowering our community,” said APL Executive Director Scott Jarzombek. This event is sponsored by: Spectrum 8 theaters; Whiteman, Osterman & Hanna; Behan Communications; CDTA; Communication Services; Jaeger & Flynn Associates; CDPHP: Marshall & Sterling Insurance; Midwest Tape; and FirstLight. Media sponsors are All Over Albany and Accuprint. For more information, please call the APL Foundation at (518) 427-4367.